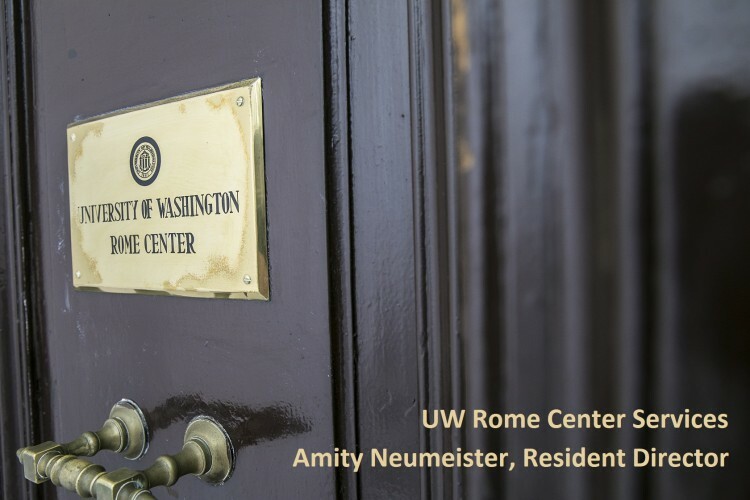 The UW Rome Center provides a unique setting for a wide range of study abroad programs from the U.S. and foreign institutions. We provide complete coordination of study aboard programs, including pre-departure and in country program support, consultation and arrangement of events, cultural site visits and excursions, arrangement of student and faculty housing and transportation, completion of payments and other financials services, and other administrative services. We are also a fantastic site for international conferences and seminars, centrally located in the historic center of Rome with a main conference room that can seat up to 70 people assembly style and adjacent classrooms for breakout sessions, coffee breaks and buffet meals. We partner with local restaurants and catering companies to provide exquisite on-site meals and beverage services, and provide expertise in arranging cultural site visits, accommodations and other services. Learn more about our services below and contact uwrcinfo@uw.edu for more information.